You Voted – Meet the 2014 Facing History Together Teacher Recognition Contest Winner! From over 400 nominations, we selected 20 finalists from around the world for the 2014 Facing History Together Teacher Recognition Contest. Then you voted for the educator whose story and work inspired you most. Today we are so thrilled to introduce you to our 2014 Facing History Together Teacher Recognition Contest winner Hayden Frederick-Clarke, the founding math teacher at Diploma Plus, a small learning community at Charlestown High School in Boston, Massachusetts. 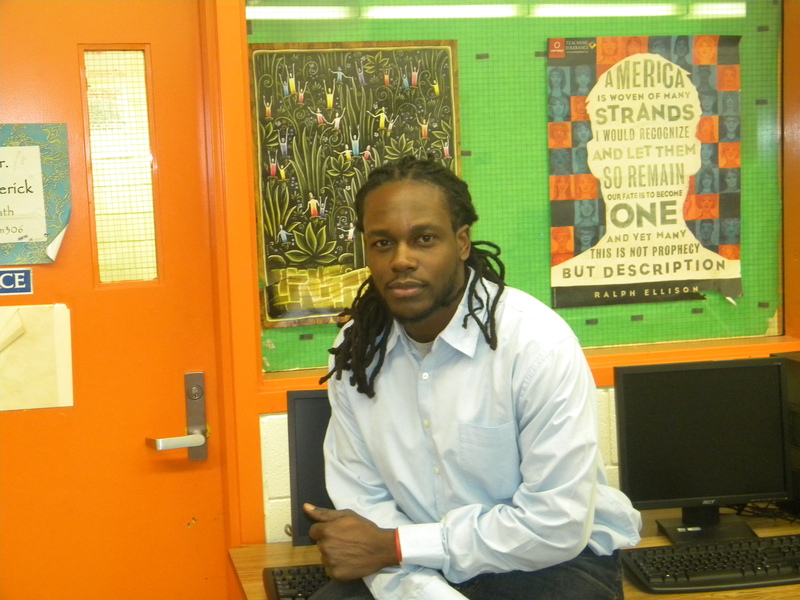 Frederick-Clarke will receive a $5,000 teaching grant to benefit his school and community, and to further his work as a great educator.